A pen (Latin: penna, feather) is a writing instrument used to apply ink to a surface, usually paper, for writing or drawing. Historically, reed pens, quill pens and dip pens were used, with a nib dipped in ink. Ruling pens allow precise adjustment of line width, and still find a few specialized uses, but technical pens such as the Rapidograph are more commonly used. Modern types also include ballpoint, rollerball, fountain and felt or ceramic tip pens. 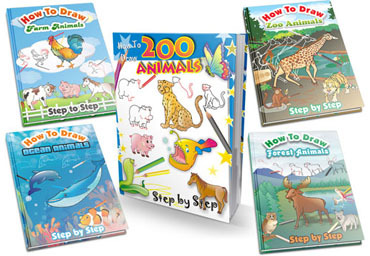 Here are the steps to draw Cartoon Pen. Enjoy! 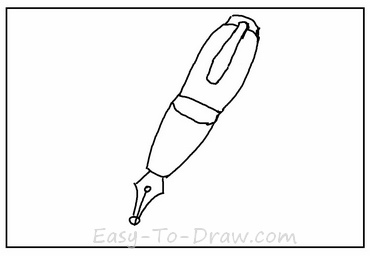 Step 1: Draw the body of the pen. 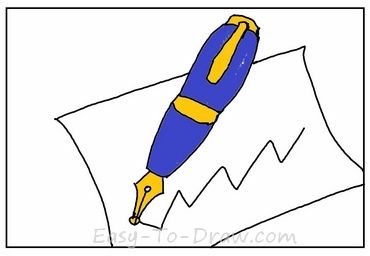 Step 2: Draw the pen nib underneath, and the pen clip on the top. Step 3: Draw a paper below the pen and some handwriting on the paper. 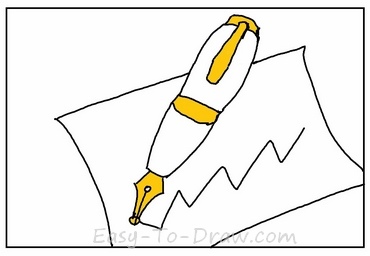 Step 4: Color the pen nib, the clip and the middle of the pen yellow. Step 5: Color the body of the pen in blue color. Step 6: Draw some shadows on the body of the pen. 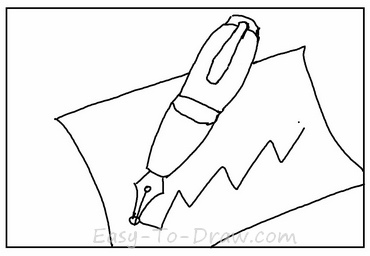 Step 7: Draw a shadow behind the pen. I have a pen, I have pineapple. 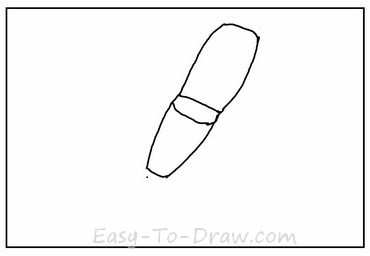 Pen Video Drawing Tutorial for kids!